Alright, maybe not in the eye—but, stick a needle or two, or even twenty, anywhere else on me and I might be okay with that. I am a converted believer in the power of acupuncture. Don’t worry, Doctor, I’m not ready to jump the Tardis and leave modern Western medicine just yet. I can still appreciate science and research, and still hang on to the hope that one day we’ll find cures for all diseases. I will admit, though, that when I was finally willing to open my mind and give alternative medicine a chance, I was truly amazed. Cheesy as it might sound, alternative medicine changed my life. I wasn’t always a believer, no. When it came to Eastern medical practices, I was a scoffer—a “pfft”-er, “hmph”-er, and eye-roller. No amount of persuasion by my mother could get me to see the benefits of being a human pin cushion. Mom used to offer to take me to an acupuncturist whenever I had the flu. “Hmph,” I’d say. “No, thanks, Mom. I’ll go see a real doctor.” She wanted me to try acupuncture for my headaches. “Pfft. I’ll just take a couple Advils, Mom.” Acid reflux… “Got the purple pill, Mom.” After I had been married for several years without any news of a baby grandchild for her to hold, she repeatedly urged me to go see an acupuncturist to treat my infertility. [eyeroll] Eventually, she gave up trying to sell me on the whole new-age Western medicine vs. ancient Eastern medical practices that have worked for centuries. I still couldn’t buy into the philosophy of natural-healing-by-way-of-life-size-voodoo-doll. Nothing about that seemed natural in my mind. Fast forward to a few years ago. Or…was that the rewind button? Er, time travel…wibbly-wobbly, timey-wimey stuff. Right. Several years ago, I had lunch with one of my best friends. Like me, she was slave to the purple pill daily regimen for acid reflux. She told me she had been thinking about trying something different. She didn’t like the idea of having to take a pill every day, possibly for the rest of her life, and she was tired of the monthly expense of refilling the prescription. That’s when she told me she was going to try acupuncture. My left eyebrow shot up in reaction. 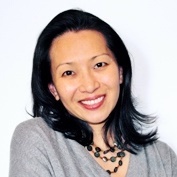 Has my mother been brain-washing you with Asian voodoo ideas, too? “Really? Huh…,” I said, “Let me know how that goes.” And then I watched as the purple master gradually relaxed it’s hold on her as she successfully went one day without, and then another day, and then another day until about two months after her first acupuncture treatment, she was completely and comfortably free from the clutches of the purple pill. That’s just crazy, I thought. I had been taking either Prevacid or Nexium everyday for the past 12 years to treat GERD (Gastroesophageal reflux disease). I knew from experience that if I tried to go half a day without that pill, I wouldn’t be able to keep food down. I would finish a meal and immediately feel nauseous and have to run to the bathroom to vomit—makes eating kind of pointless, if you ask me. My husband used to refer to this segment of the program as “doing the supermodel thing.” But vomiting three times a day hardly felt glamorous. And the idea of saving money on prescription costs did seem attractive. So I decided to give acupuncture a try myself. 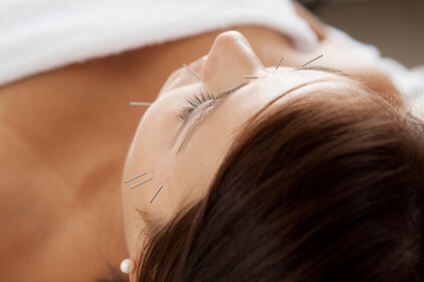 After the initial consultation to fill the acupuncturist in on my medical history, I began treatments. To my surprise, I found the treatments very relaxing. Being a pin cushion didn’t hurt at all like I imagined it would—I hardly even felt the needles. Within several weeks, I felt a noticeable difference in my digestive health. And after about 3 months I, too, was freed—comfortably free—from the purple master. Huh. Impressive. 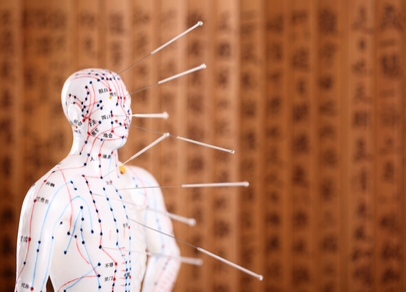 I was finally able to see and accept acupuncture as an effective, alternative form of medicine. But something else made me into a believer. In one of our many conversations during treatment, the acupuncturist asked about my family, about my husband, and whether I had any children. I told him it took several years, but we did manage to have one child. We thought we’d have one more—even saved most of our favorite baby items just in case we had another boy. But our son was about to turn 7 and I had gotten well-acquainted with my 30’s by now. It didn’t look like there would be another baby, so we finally started letting go of things. 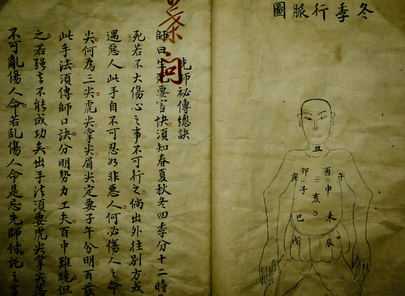 My “Acupuncturist the Great” (he earned that title) mentioned that he had successfully treated many people before who were reproductively challenged. I was a bit skeptical, but asked if he would treat me too—if I was going to have a second child, it needed to be soon rather than later. He agreed to the additional acupuncture treatments and a few months later, my husband and I found out we were pregnant.